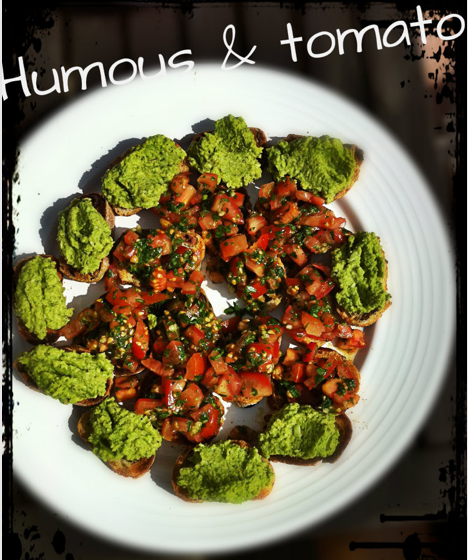 This is a great alternative to standard chick pea hummus and can be served on top of toasted sour dough as canapes, or popped in to a big bowl for guests to tuck in to with tortilla chips. 1. Boil the peas and broadbeans for approximately 4 miunutes, or until cooked through. 2. Drain the peas and broadbeans and run under cold water – then leave to one side to cool. 3. Put all ingredients (minus the lemon juice) in to a food processor, or use a hand blender and keep going until you have a nice smooth consistency. 4. Add in the lemon juice and give the mixture a good stir until it’s completely absorbed.